Warmbier's family said he died Monday afternoon, just days after he was returned unconscious and unresponsive from North Korea. Doctors who examined Warmbier said they found no evidence of botulism, a kind of food poisoning that can be deadly but that usually does not cause brain damage. Warmbier's father Fred said he didn't believe that's what happened to his son. What doctors at the University of Cincinnati hospital did find was extensive brain damage that looked like it could have been caused by a long period of oxygen deprivation – the kind caused when something stops someone's heart. "His neurological condition can be best described as a state of unresponsive wakefulness," Dr. Daniel Kanter, director of the hospital's neurocritical care program, told a news conference last week. There's not much hope for someone after that, neurologists agreed. "If they are in that state from a lack of oxygen to the brain ... and it has been more than three months ... the chance of anyone having a meaningful recovery — I don't know if any of us have ever seen it happen," said Dr. Lori Shutter, professor of critical care medicine, neurology and neurosurgery at the University of Pittsburgh Medical Center. A "state of unresponsive wakefulness" is the more modern way of describing a persistent vegetative state — when the brain stem keeps people breathing, waking and sleeping, but there's no conscious brain function, Shutter said. "Patients who are in a persistent vegetative state after a cardiac arrest have a very low rate of recovery," added Dr. Andrew Naidech, neurocritical care physician at Northwestern Memorial Hospital in Chicago. Warmbier's quick death suggested he was not in good health, Naidech and Shutter agreed. Doctors also agreed it was unlikely his family decided to withhold food and water — a perfectly valid decision for someone with such a poor prognosis, but they said it takes patients more than just a few days to die from dehydration. "The fact that he died so quickly suggests he was getting some sort of medical treatment that could be withheld," Naidech told NBC News. "If this young man was in this state for an extended time period, once the family heard everything, they may have started to focus on quality of life," Shutter speculated. "They may have felt that this quality of life would not be of the type that they would feel Otto would have wanted," Shutter said. "They may have 'let's make him comfortable'." "Why would you die suddenly after 15 months in a persistent vegetative state?" Laskowitz asked. There are usually two reasons why you pass away in that setting. One is infection," he said. "If you are in a persistent vegetative state and you are just immobile for a prolonged period of time, you have a propensity to form a clot," he said. "That can be catastrophic and precipitous." 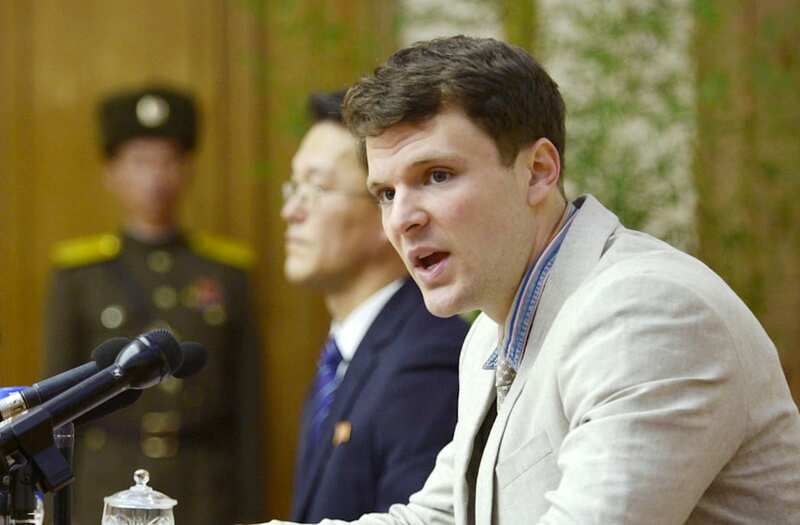 No matter what it was, Warmbier's state almost certainly resulted from poor care in North Korea, Laskowitz said. He said it's somewhat feasible that Warmbier could have suffered from botulism and that if he was given a sleeping pill while already paralyzed from the botulinum toxin, that could have caused him to stop breathing and his heart to stop, leading to brain damage. Shutter, who trained several members of Warmbier's medical team when she was at the Cincinnati medical center, said he would have been given the best care possible at the Ohio facility. "I do feel for this family," she said. "But I do feel they had one of the best teams in the country to help them with that."